Abstract: We compare human translation performance in Lilt to SDL Trados, a widely used computer-aided translation tool. Lilt generates suggestions via an adaptive machine translation system, whereas SDL Trados relies primarily on translation memory. Five in-house English–French translators worked with each tool for an hour. Client data for two genres was translated. 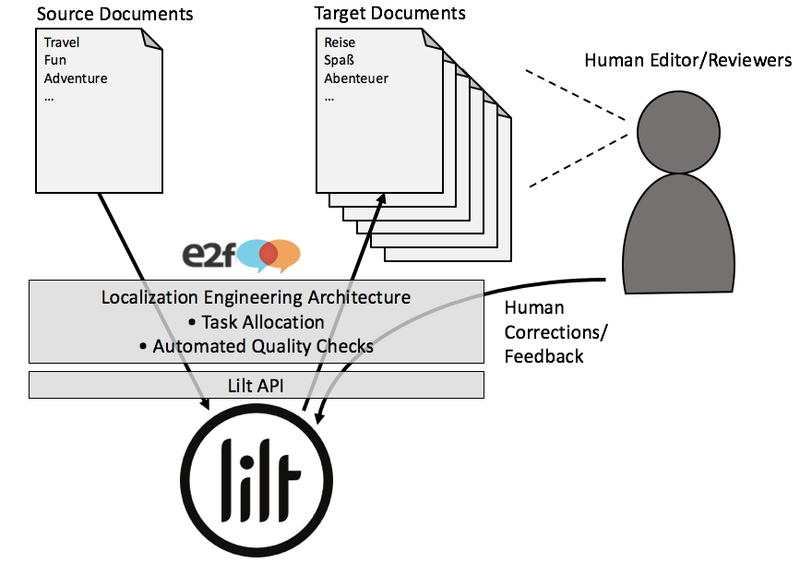 For user interface data, subjects in Lilt translated 21.9% faster. The top throughput in Lilt was 39.5% higher than the top rate in Trados. This subject also achieved the highest throughput in the experiment: 1,367 source words per hour. For a hotel chain data set, subjects in Lilt were 13.6% faster on average. Final translation quality is comparable in the two tools.